add another to the list.. I always find this airport interesting, not successful all the time in msfs, using a 738 of course. "According to Travel & Leisure, only eight pilots in the world are certified to land at the airport." Bhutan has some interesting airports and air travel options. airports. If I have a CPL, I cannot fly to just any airport I wish to? I don't know how bad it is for a real pilot, but ksan is exciting even as a passenger in a small plane or in a sim. The field looks great from the ocean, out on the flat not far from the harbor. However prevailing winds are on-shore and most flights land from the East on the single Rwy 27. The approach is over Balboa park located in hilly terrain to the east of the airport and you have to stay above 1800 ft to the final approach fix on the crest of the last hill before the airport. At that point on a clear day you can wave to the dinners at Mr A's rooftop restaurant about half a mile off your starboard wing and dial down the V/S rapidly to match a 3.14 deg final glide slope. With a displaced threshold I think you have only about 9400 ft usable runway. With winds and big plane this can be fun. adventurous, keep the speed low, and bank hard, haha! about this 'pilots having to be certified to land at such-and-such airport' business. If I have a CPL, I cannot fly to just any airport I wish to? I'd say 99.9% of all land runways (don't know about water runways) can be used even with a PPL. Some critical runways (steep slope, short length, high obstacles) may first require a few training patterns with an instructor, and in most cases the respective logbook entry will suffice as a certification. The most famous approach requiring a special license was probably the IGS approach into Kai Tak. I don't know what kind of certification procedure they used and if it was airline specific or a government thing. The Grand Canyon SFAR 50-2 needed a check ride in order to fly within it... It's the only case of airspace I know that requires a special flight certification. The airport (KGCN) didn't need any special rules. 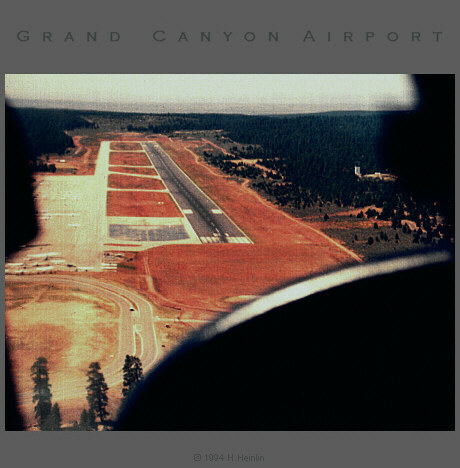 Hardy, I was flying for Grand Canyon Airlines in 1994, so we were at KGCN at the same time. Interesting! Perhaps you used their refueling services. The Twin Otter is nothing like the 744, but I would have gladly shown you around if you'd been interested... Power levers on the ceiling, a wild arrangement! Interesting, indeed :-) I knew (from forum posts) you were flying there, but didn't know it was in 1994. Possibly certified to land an A319 at Paro. That is something else. For takeoff and landing at Paro you must always anticipate random Yeti attacks. Phil's post (#3 in this thread) says 'certified'. Phil quotes Wikipedia ("certified") whose original source says "qualified". Ah yes ... well noticed. But qualified or certified, it does seem to be an invented statistic. Some airports or approaches require that the operator has approval from the relevant authorities. The authorities may require that the airlines has a special training program in place and special procedures defined e.g. for one engine inoperative flight. The airline then appoints pilots to fly to these destinations and if relevant or required may then give these pilots extra training in the simulator and possibly a check flight as well. So if the authorities of Buthan requires operator approval to land in Paro, it may be that Drukair appointed 6 pilots (most likely captains) to land there at the time it was written and that Drukair is the only approved operator. There are also airports where the operator may only fly special approaches if approved. Example is Salzburg in Austria, where a "Special ILS16" with a lower minimum exists. No special pilot training is required, but the operator needs approval. Other operators may fly the normal ILS without approval. However, unless something is completely special for Buthan, non-scheduled operators does not require such approval. Here is a example on youtube of a Falcon 900B business jet landing there. If you have the patience the video is actually quite interesting, as one of the pilots talk the other one through how to fly the approach, and goes to to show how much local knowledge is required. must have been picked out of a hat. You may be qualified -- with or without a certification. You may be certified -- only if you're qualified. Very correct; "qualified" means to have achieved some kind of standard. "Certified" means to have received an attestation of ability or state. It also means "having been committed to a mental institution." Just saying.